Dr. John Goffigan graduated from the Keck School of Medicine of USC. He did his internship at the Huntington Memorial Hospital and completed his residency program at the Santa Barbara Cottage Hospital. 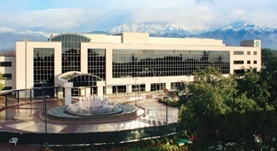 Then, he also did a fellowship at the Loma Linda University. He is specialized in Interventional Radiology and board certified in Vascular & Interventional Radiology. Dr. Goffigan has been in practice for more 11 than years and is affiliated with the San Antonio Regional Hospital.